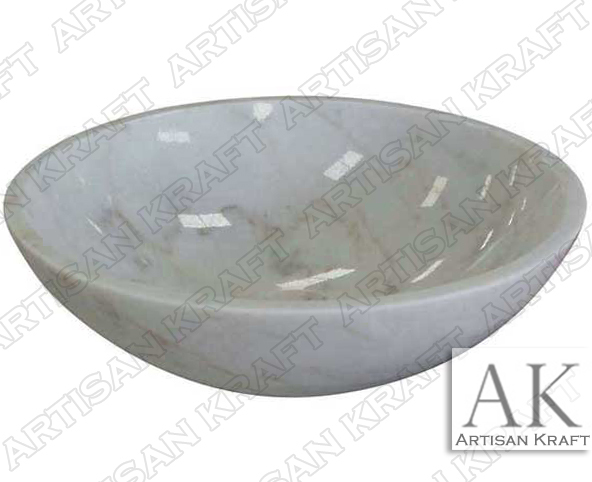 Contemporary design on this vanity top bathroom bowl sink. The moon white stone looks like Carrara. Carrara has black and grey veining. White marble was used to make this white moon sink. It is a simple design that works great on top of a vanity and is fitting for a large spectrum of bathroom styles.